Losing weight is easy… said no one ever. It takes a lot of effort and motivation for one to actually reach their weight loss goals. It’s not easy, but it’s possible! You just need that extra push to get your healthy habits going. Once you begin pedaling you will be right on track to reaching your weight loss goals, you just have to learn to maintain the balance. If you have not yet noticed, this is both figuratively and metaphorically speaking, that’s if you enjoy biking and losing weight at the same time. It is often said there are too many ways to lose weight, there is no excuse! However, many people actually suffer from certain conditions that hinder their ability to lose weight. At Kitsune, we take your family history and medical conditions in consideration to help you reach your weight loss goals. 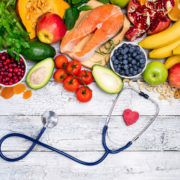 Our professional nutritionists provide you with accurate information on weight loss treatments that are highly effective through our Expert Weight Loss Program. Pay attention to your health, not just your looks. What you want to focus on is your overall health because you want to feel amazing inside and out. 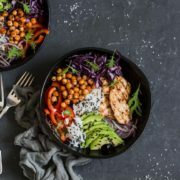 The health of your mind depends on how well you are taking care of your body through the foods you are consuming and time of physical activity. Your physical and emotional health will tremendously improve as soon as you act on your decision to becoming a healthy person. Have you made that decision yet? Contact the Kitsune professional doctors to get yourself ready for an exhilarating weight loss journey. Once you set your goals and find out your best weight loss treatment option, you’ll know it’s almost time to begin the journey. Put your health as your top priority and go on this weight loss journey with Kitsune today! Start losing weight today with the help of our professional nutritionists who care about your health. Our Expert Weight Loss Program is no joke, our doctors work hard to find out all the necessary information to give you the results you want and need. 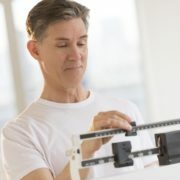 Unlike other programs, our Expert Weight Loss Program consists of providing each patients with effective treatments according to each unique case. Not everyone can lose weight the same weight, some lose faster than others or each have different health conditions. You can trust Kitsune to guide you through a successful weight loss journey. Our professional doctors focus on your health and finding the most effective, accurate treatment that will fit according to your medical history, as well as your goals through our Expert Weight Loss Program. Call today at (305) 595-1300 or click here to make an appointment. 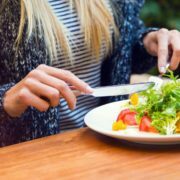 How Does the HCG Diet Help You Lose Weight? 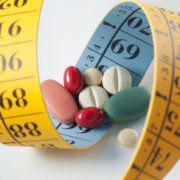 Natural and Effective Weight Loss Program! Learn More! Let Us Help You Today with Our Simple Weight Loss Program How Realistic Goals Can Benefit Your Weight Loss Journey!